We know you’re busy. So here’s an easy way to figure out whether it makes sense to spend the time applying for a small business loan from a bank. Do you own your business property free and clear? If the answer is Yes, you have a reasonable chance of getting a Small Business Administration loan from a participating bank. Check out a list of SBA lenders here. Are you looking for at least $250,000? If Yes, then it may make sense to go to a bank – for them, only large loans are profitable. But if you are looking for smaller loans, and especially amounts under $150,000, then a bank is probably not going to spend the time to underwrite your application. They just can’t do it cost-effectively. This is where an alternative financing company like Principis can help; we offer funding amounts of $15,000 to $250,000 with minimal paperwork and very fast turnaround. Is your credit perfect, with no negative trade lines or public records and a high FICO? If Yes, and you have collateral like business real estate to pledge, then you will have a shot at getting a loan from a bank – go for it! 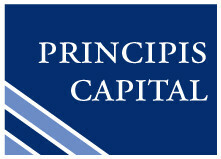 Otherwise, you will be best served by a company that offers alternative financing, like Principis. Over half of our customers have FICOs of under 600, and we are not scared off by delinquent trade lines or liens. We understand that when you’re building a business, your personal credit often suffers, and it doesn’t make you a “bad risk”. Does your business have a record of consistent, strong profitability supported by your last 3 years of business tax returns? If Yes, this is a good sign that you’ll qualify for a bank loan. You have to show strong profits that are officially declared, and good liquidity in your operating bank accounts. If No, then consider coming to an alternative financing company like Principis. We know that small business has up years and down years, so we are not looking for a perfect record. In fact, we are here to help you expand your business and generate more profits. Do you have 1-3 months to spend on the application process? If Yes, (and you meet the criteria above), then go for it! Banks typically require a lot of documentation, and that will probably take a fair amount of your time for at least 1-3 months before they are satisfied that they know enough about you and your business. If not, Principis offers a good alternative for you. The average time from application to funding for our clients is 7-10 days. This is perfect for situations where you have limited time to take advantage of a business opportunity, or need funds to meet a short-term need. In summary, if your answers to all five questions are Yes, then get yourself to your bank today and see what they can offer you. If any of the answers are No, you are likely to have a better response from an alternative financing company like Principis. You can let us know your funding needs right now by answering a couple of questions here, and one of our Funding Specialists will get in touch with you within 24 hours to see if we can help you. There is no cost and no obligation – why not get a quote today?